Barcelona is once again the king of Michelin dining in Spain. The Catalan capital reigned the 2016 Michelin Guide for Spain and Portugal with 22 restaurants (down one from last year), more than any other city in Spain. Just like last year, ABaC, Enoteca, Lasarte and Moments won two-star ratings from the experts at Michelin. We saw two newcomers jump onto the one-star list (Disfrutar and Hoja Santa) while Carlos Abellan’s Comerc 24 dropped off the list (it’s being renovated) as did Jordi Hererra’s Manairo and Jean Louis Neichel’s Neichel (he closed up shopafter 34 years). If you’re headed here in the future, contact us to create a tailor-made Barcelona tapas walking tour which includes a stop at any one of the restaurants on this list. You tell us what you want, we build the itinerary. 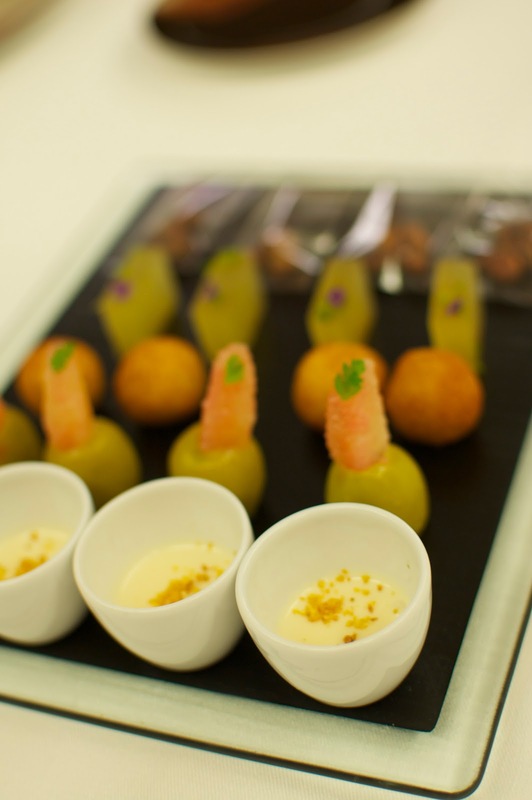 Have you ever heard of the tongue-twisting name “Martin Berasategui”? He’s a Basque chef whose restaurant Berasategui consistently wins three stars. Lasarte is his Barcelona restaurant, opened in Hotel Condes in 2006 and under the command of chef de cuisine Paolo Casagrande and manager Joan Carles Ibañez. Want to get a taste of what makes Lasarte famous? Check out their delicious tasting menu. You may think “hotel” and “world-class restaurant” don’t go together. But in Barcelona, they do. All four of the city’s two-star Michelin restaurants are located in hotels. Chef Paco Perez’ Enoteca is situated in the Ritz-Carlton Arts Hotel, an iconic building in Barcelona that looks out over the city’s endless stretches of honey-colored beaches. The current menu features some familiar names: eggs benedict, langostines and risotto. Want some wine? Enoteca has more than 700 bottles of vino in their cellar. Ready for a virtual visit to Enoteca? Click here to see their current tasting menu. ABaC is tucked away in the verdant confines of the ABaC hotel, a subtle establishment nestled into the hillside of Barcelona’s swanky zona alta. Jordi Cruz, the under-40 rock-star chef featured on Spain’s Master Chef, runs the show at what is arguably Barcelona’s best restaurant. Their tasting menu is legendary. Click here to peruse the dishes that won this restaurant its Michelin stars. Did you know Barcelona is home to the most prolific female chef in the world? Moments’ Carme Ruscadella has more Michelin stars than any other female chef, and she’s got them in two different countries: Japan and Spain. Her most famous venture is Sant Pau, Carme’s three-star Michelin restaurant in the cozy seaside town of Sant Pol de Mar. Ruscadella and her son Raul Balam run the show at moments. Click here for to see the Michelin-starred restaurant’s current tasting menu, which includes pheasant terrine and sea bream. Congratulations to Disfrutar and Hoja Santa for joining Barcelona’s list of one-star restaurants. We think Hoja Santa may be the most interesting restaurant on this entire page. Why? Because all of its dishes are a la carte, it’s the only fine-dining Mexican restaurant in the city and a full dinner can be had for under 50€…that’s amazing. Alkimia (Reviews)- A pair of chefs bringing delicious Catalan cuisine. 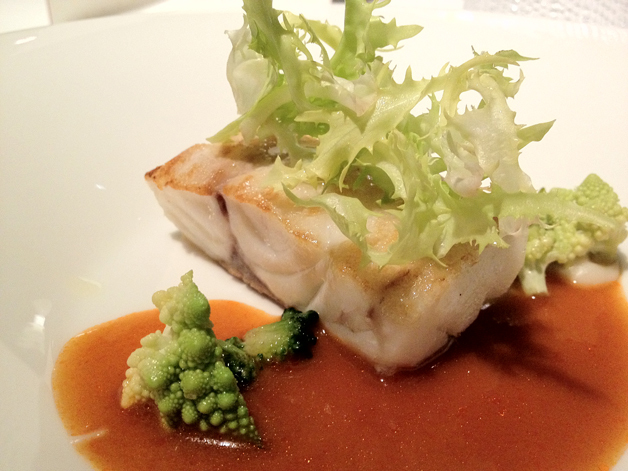 L’Angle (Reviews) – Jordi Cruz’s “other” restaurant in Barcelona. Caelis (Reviews) – Romain Fornell won his first star for this restaurant, located at the El Palace hotel. Cinc Sentits (Reviews) – Cinc Sentits was once listed by Conde Nast in their list of 80 hottest restaurants. Disfrutar (Reviews) – Run by a trio of chefs trained at the legendary test kitchen at El Bulli. Dos Cielos (Reviews) – A duo of Michelin-trained chefs create engaging cuisine high up in the Hotel Melia Sky. Dos Palillos (Reviews) – Another Adria brainchild, Dos offers Asian cuisine with a twist. Gaig (Reviews) – Chef Carles Gaig grew up in Barcelona’s Horta neighborhood. Hisop (Reviews) – One of the more affordable Michelins…you can score a tasting menu with wine for 90€. Hofmann (Reviews) – Barcelona’s “patron saint” of European baking runs this popular restaurant. Hoja Santa (Reviews) – Mexican cuisine at its finest. Just around the corner from Tickets. Koy Shunka (Reviews) – Chef Hideki Matsuhisa leads the city’s seminal Japanese eatery. Nectari (Reviews) – Modern methods and traditional dishes highlight this Mediterranean spot. Pakta (Reviews) – Ferran Adria, Nikkei-style cooking and Peruvian? Exactly! Roca Moo (Reviews) – This Hotel Omm mainstay is part of the prestigious El Celler de Can Roca family of restaurants. Saüc (Reviews) – Head to the Old Town to enjoy the Catalan-heavy cuisine. Tickets (Reviews) – Want a table at this uber-popular spot? Get ready to wait two months. Via Veneto (Reviews) – Dalí, Miró and even Richard Nixon dined at this nearly 50-year-old patriarch of Barcelona’s food scene. Have you had the privilege of dining at one of these restaurants? Did it live up to your expectations? Leave a comment about your experience!